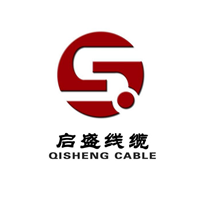 Product categories of High Frequency Mobile Cable, we are specialized manufacturers from China, High Frequency Mobile Cable, High Frequency Flat Cable suppliers/factory, wholesale high-quality products of High Frequency Electrode Cable R & D and manufacturing, we have the perfect after-sales service and technical support. Look forward to your cooperation! A high frequency cable is a cable for transmitting high frequency signals. Since the cable has a distributed capacitance and a distributed inductance, filtering the high-frequency signal will attenuate the high-frequency signal, so for the transmission of the high-frequency signal, a cable with a distributed capacitance and a small distributed inductance is required. The following describes one of the high frequency cables: high frequency symmetrical cables.